For about 100 years, steam power ran industry and transport – mills and mines, ships, trains and cars (and even planes). The internal combustion engine prevailed in the 1920s, not because it was a more efficient technology but because of advances in gasoline refining, creating a high-power, easily transported and handled fuel - a fuel that one simply pours out of tanks and into engines. (Steam remains central to large scale power generation, of course). A major design challenge of internal combustion is that combustion occurs in the short time period of the power stroke, creating polluting exhaust requiring sophisticated engineering solutions which often render the machines less efficient, in the interests of cleanliness. In many parts of the world, gasoline is an expensive imported commodity, itself transported using gasoline or diesel. Dependence on fossil fuel distorts and compromises the economies of such communities. In many such locations, low grade, combustible solid fuel (agricultural and forestry byproducts, etc) are freely available. Modern solutions to combustion create clean low temperature exhaust of CO2 and water vapor. Domestic and industrial waste (including plastics) can also be cleanly burned, and energy harvested. 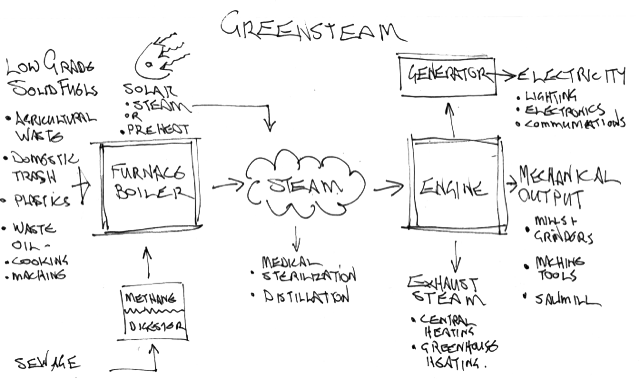 Greensteam seeks to develop small scale stationary steam plants with efficient engines and boilers, for cogeneration of heat, mechanical and electric power, exploiting low grade fuels and environmental sources like geothermal and solar. Greensteam seeks to develop new steam designs leveraging the last 100 years of advances in metallurgy and synthetic and composite materials, as well as electromechanical and digital solutions. 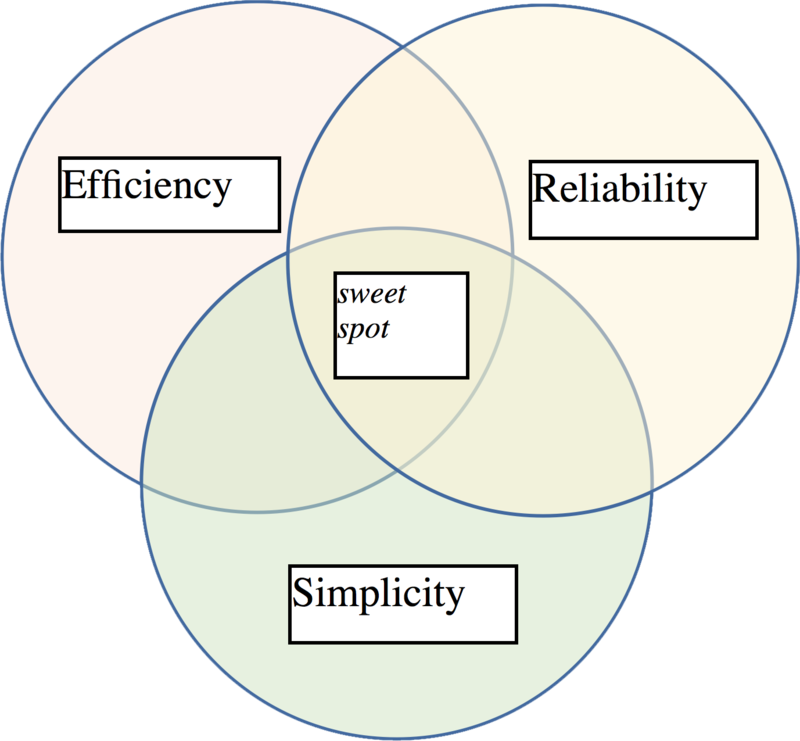 Greensteam design strategy is to seek a sweet-spot between simplicity, reliability and efficiency. In the R+D phase, Greensteam will build a collection of small to mid-size prototype engines, including new in-house designs exploring new valve configurations, mechatronic solutions and applications of new materials (ceramics, composites, etc). We will also build some reproductions of highly efficient designs from 1920s-1960s, such as the Stuart Sirius and the Westbury Spartan. Greensteam is looking for student researchers with skills and interests in 3D design and kinematic modelling, precision machining and metalwork, boiler design and general fabrication. Greensteam is based in the fabshop in the Arts Annex, UCI, bldg. 522 on campus map.